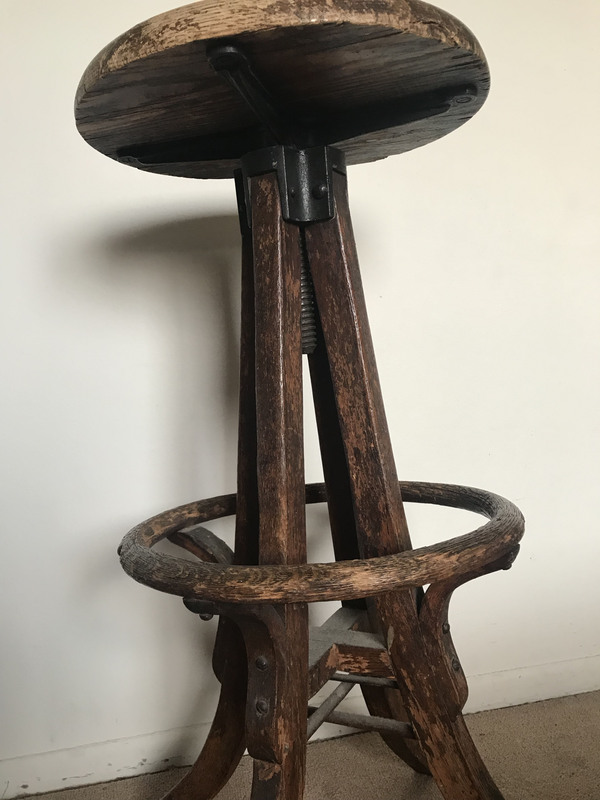 My grandmother gave me these antique operator stools that she might have acquired when she lived in Washington DC, but I don't have any more information than that. She swore by their value. Would love more insight. When Alexander invented the phone little did he know the impact it would have in our modern world. In 1915 the first transcontinential phone lines were installed. It was around this time that AT & T bought out Western Union giving them a monopoly over most of the US. Your chairs are very nice. It is evident that over time the seats were replaced for comfort and / or repair. 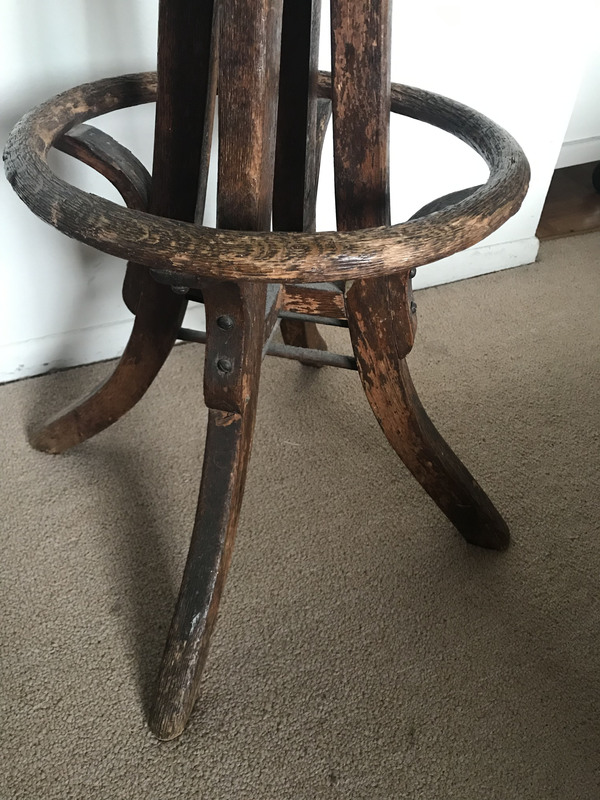 These chairs originally had a weaved cane seat. 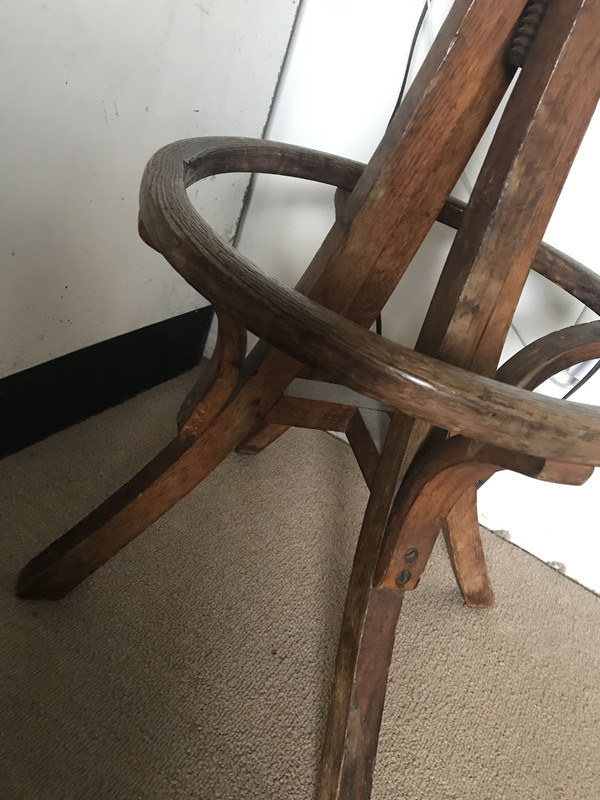 Your chairs show condition / wear to similar pieces of this time which is a benefit. Est Value: Many of these seats have backs as well as the original cain seats. 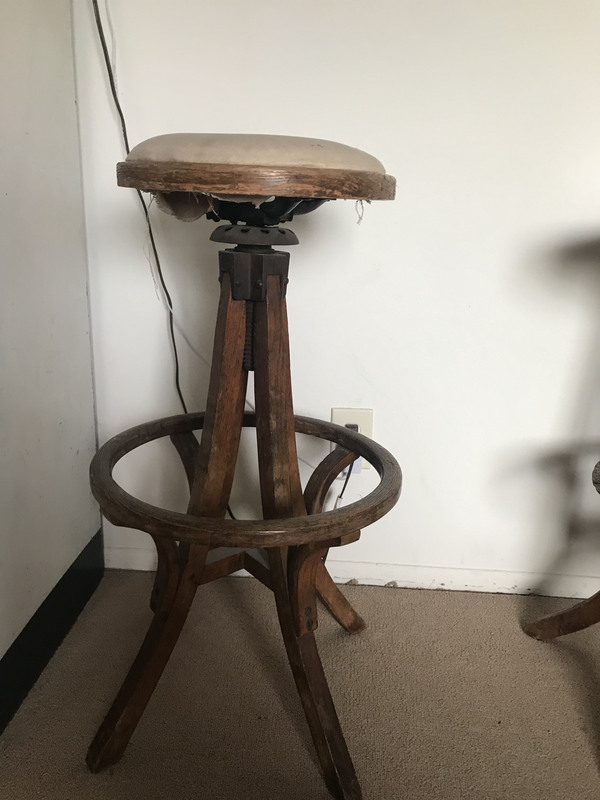 I would estimate these pair of stools for $250 - $400 US for the set, based on market and demand. Although these pieces lack backs and original seats you do have a set which helps. 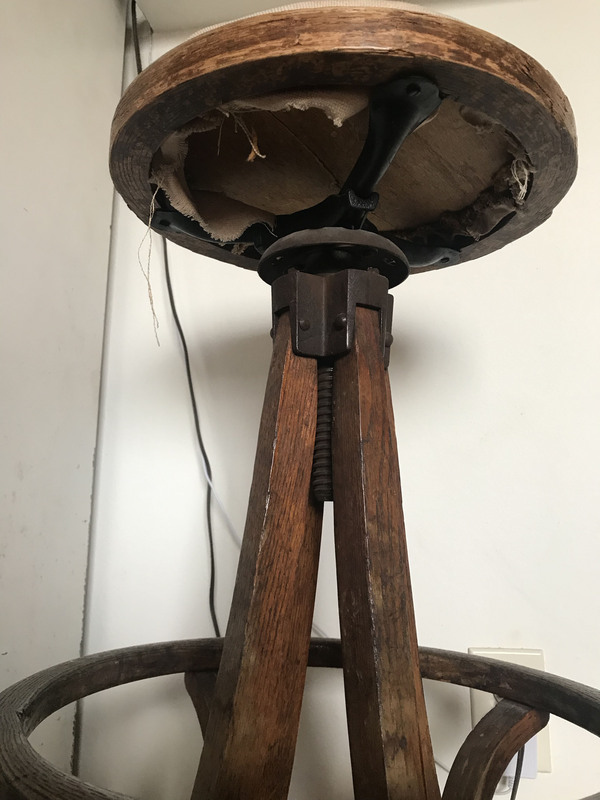 I would insure these on your house contents insurance for $500 - $600 US, Very cool pieces of American furniture that helped people connect literally in the past.. Please leave some feedback on my valuation. Its appreciated !! 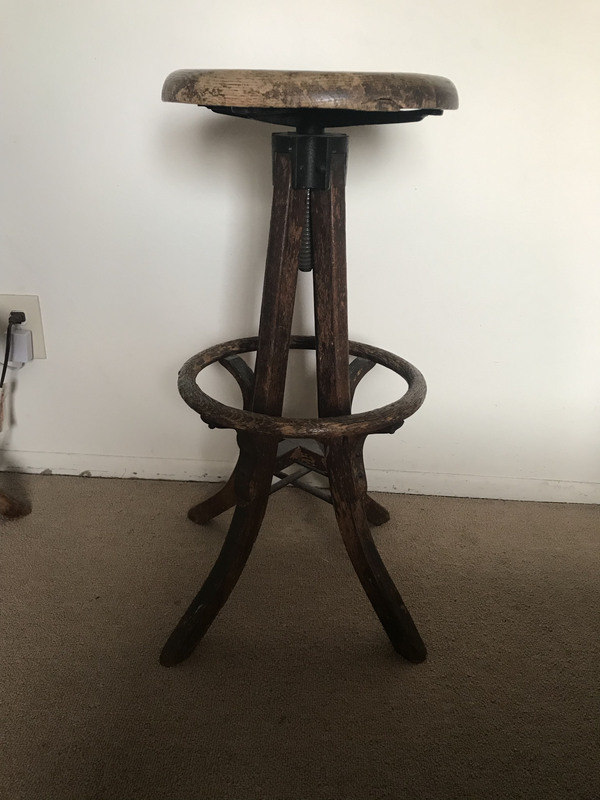 We'd retail comparable stools ( restored)in the current market at $250.00 each.